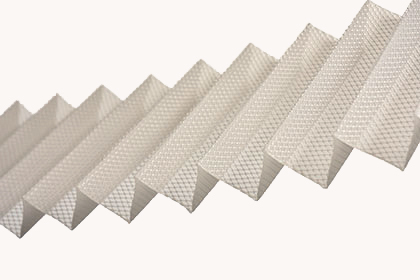 PVF GmbH delivers mesh in roll format as well as fabricated goods by customer requests. If you need fabric hoses or filter bags, stamped, pleated, moulded parts or only simple cutted goods – at PVF you are right! Our wide product portfolio of mesh materials in various specifications offers a perfect basis to find the suitable product. All our fabrics guarantee the highest accuracy, best quality and absolute reliability.